koenig-pa GmbH has joined its efforts with the partners to deliver complete PLC Reference Platform with integrated support for EtherCAT high-performance industrial network. 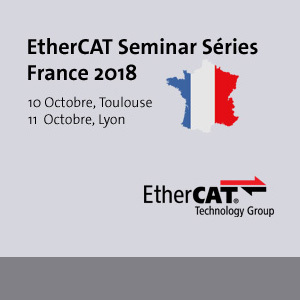 The new EtherCAT Programmable Logic Controller (PLC) Reference Platform is targeted to OEMs that require easy-to-use and powerful platform for fast development of industrial control systems. It runs ISaGFAF firmware with integrated KPA EtherCAT Master stack under QNX Neutrino real-time OS on Freescale QoriQ P1 series processor. 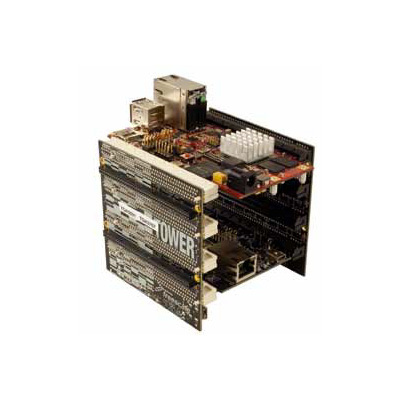 Running on Freescale hardware, the PLC environment consumes as low as 1% of CPU processing power, providing EtherCAT task cycle time as low as 1 ms. This leaves plenty of resources for implementing even complicated controlling task. Both user application and bus accessing tasks can share one CPU core or can be distributed, with one core dedicated to real-time controlling task and the second used for maintenance and communication activities. During run-time, ISaGRAF PLC environment is responsible for KPA EtherCAT Master initialization, establishing RPC communication with diagnostic and reporting, and for shared access to Process Image from ISaGRAF virtual managers. 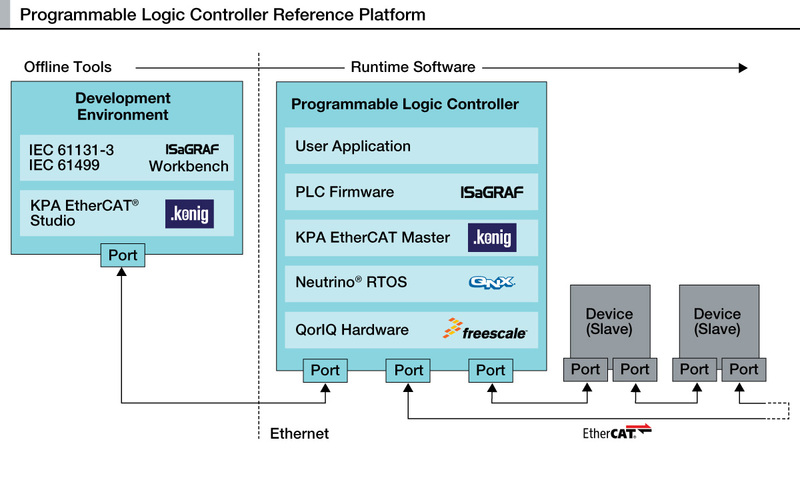 For designing PLC, KPA EtherCAT Studio is integrated as a plug-in to ISaGRAF 6 Workbench environment to provide EtherCAT bus initialization and establishing links to EtherCAT slaves.